Recap: In the end, it was a pretty tidy win for Palestine. Both teams played a clean game as evidenced by the single caution handed out by the usually card-happy Naser Darwish of Jordan. It was also a competent and spirited display by Afghanistan who were forced to deal with a temporary financial crisis, injuries, cancelled friendlies, and a managerial resignation. Despite the encounter being held on neutral territory a sizable crowd- estimated at 5,000- showed up to cheer Afghanistan on. Team-e-Melli were rocked by news that Oldenburg goalkeeper Mansur Faqiyar and Eintracht Frankfurt youth product Abassin Alikhil would not recover in time to participate. These two were always going to be heavily leaned on to help grind out a result. Despite key absences, the newly reinstated Yosuf Kargar put out an attacking line-up. For the first quarter of an hour it seemed to pay off as the Afghans, more acclimated to local conditions (37 C) displayed plenty of skill. Al-Fursan found their feet and began to assert their dominance in midfield with Ahmed Keshkesh dropping off to help exercise a numerical advantage. Palestine looked to impose their trade mark style by playing the ball to their wide players, Suleiman Obeid had a chance go begging in the 17th minute followed up in quick succession with shots from Wadi and Keshkesh. 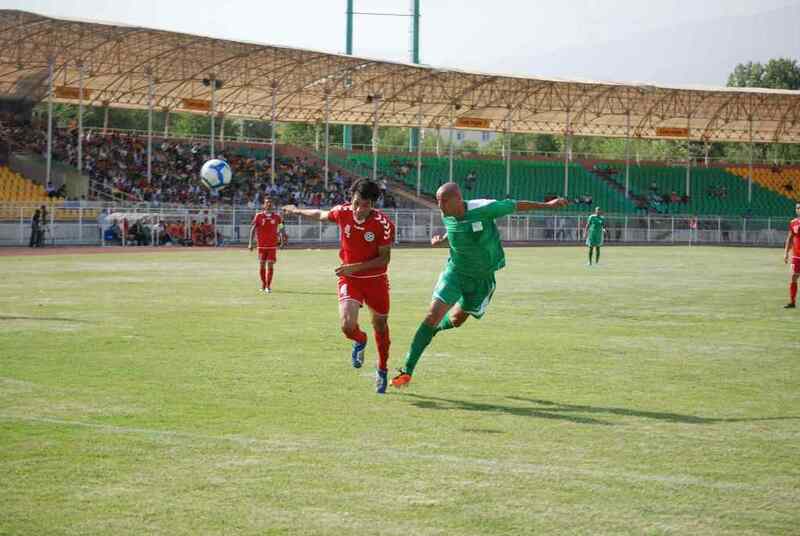 The opening goal came 28 minutes in after Afghanistan's first positive attacking spell. Atef Abu Bilal, whom Bezaz chose over Ashraf Nu'man, sent in a cross from the left which Murad 'Dado' Alyan headed in brilliantly for his fifth international goal in four games. Afghanistan did not let their heads drop, pressuring the makeshift Palestinian backline in hopes of forcing an error. The defence was for the most part, excellent, today but did have to scramble away a few balls for corners. Afghanistan's best chance of the first half came in the dying seconds with direct free kick forcing Mohammed Shbair into action. The second half would see Afghanistan go for broke, they wanted to get at least a draw to take with them to Al-Ram. Shbair was forced to show Bezaz that he had made the right decision in picking him over Abdullah Saidawi, who had kept two clean sheets during Challenge Cup qualifying and had had a better domestic season. Bilal Arzou, the Asker FC (Norway) player nearly equalized with a header in the 50th minute only for Shbair to foil his chance. Palestine would respond through Keshkesh who forced Yousufzai into turning one of his shots for a corner and then combining with Abu Bilal and Alyan to force him into a save three minutes later. His day would end shortly thereafter as he made way for Ismail Amour- a surprise exclusion from Bezaz's lineup. Amour's pace helped revitalize the attack and sprung Palestine into a desperate search for insurance goals ahead of the return leg on Sunday. Palestine was awarded a penalty in the 75th minute after Khader Yousef was fouled in the box. Murad Alyan was given the responsibility of converting the chance but placed it far too casually to the Yousufzai's right. Afghanistan, buoyed by its supporters, tried to mount a comeback Kargar took off Qazizadah and threw on a third forward- Mustafa Hadid. Bezaz also reshuffled his deck, taking off the increasingly harried Khader Yousef and putting on Murad Ismail. Amour found himself increasingly free with the departure of Qazizadah. His signature diagonal runs into the box were resulting in quality efforts on goal, with one shot trickling centimeters wide of the post. His persistence paid off in the 85th minute firing a belter to the right of the helpless Yousufzai. Man of the Match: This was a good team effort in difficult conditions. It isn't easy to play in 37º C heat in the early afternoon, nor is it easy for any national team to play so well with a makeshift backline and no preparation in the form of friendlies. So this one goes out to all 23 members of the squad... Well done! What I liked: The national team is wearing green again. I have always suspected that Jibril Rajoub changed the colors when he took power in 2008 because of the Fateh-Hamas split (as if political parties have a monopoly on color). Now that they have made up... Green is back in. Coincidence? What I liked (Part II): Resiliency. This team has it in droves. Starting Husam Abu Saleh was not ideal, nor was fielding a back line without our talisman Abdelatif Bahdari, nor was stepping out on the field without goalkeeper and captain Ramzi Saleh. The team knew they needed to keep a clean sheet and win by at least two goals. 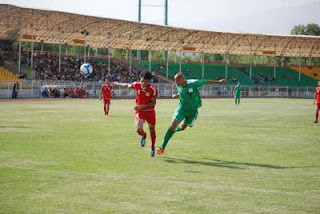 They did just that despite Murad Alyan's penalty miss and Afghan courage in keeping the score line 0-1 for so long. What I didn't like: Alyan's missed penalty was a downer. But all great players miss penalties from time to time. I am confident he'll take the next one and bury it. Afghanistan Consensus: A very young, very promising team. Thirteen of the twenty-one players included in the squad are under the age of 23. This is no longer a team that is going to get blown out by its Central or South Asian neighbours. Kargar has done a good job of mining the diaspora for talent and under his tenure (7 games 3 wins, 4 losses 0 GD) Team-e-Melli has been competitive in every match. What's Next: The return leg is on Sunday, July 3rd. If Palestine takes care of business they will face Thailand in another two-legged playoff to determine who qualifies for the first group stage (20 teams).